Nobody said running a small business was easy. With a million and one things to do, it’s not difficult for small business owners to steer off the motivational track every now and then. Fortunately, help is at hand in the guise of apps. Check out the following motivation apps that are perfect to help retain small business owners’ motivation and productivity levels. With a name like Wonderful Day, how can businesses go wrong with this app? Wonderful Day aims to keep us motivated, every single day. It encourages us to ditch paper calendars and type in daily tasks, which are marked off when we’ve completed them. Green bubbles marks days when every task has been done, and red denotes days we’ve missed duties. The idea is that a chain of green bubbles helps keep us motivated. Wonderful Day is a free app that is available on iOS. There’s nothing quite like an inspiring quote to get us through a tough day. 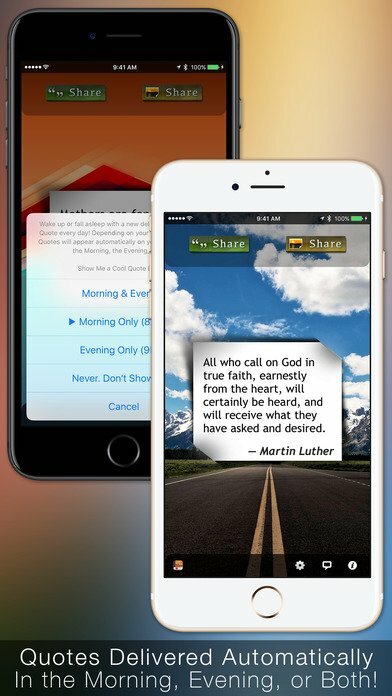 Quotes is an app that claims to bring “daily inspiration and wisdom with wallpaper.” With motivating quotes delivered daily, this iOS and Windows 8.0 or later compatible app has generated a string of four-star plus ratings. GoalsOnTrack provides a systematic approach to achieving more by doing less. 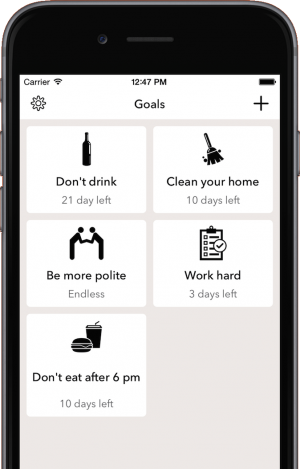 The app encourages users to record their goals, the purpose of their goals, start dates, end dates, metrics, sub goals, habits and action plans. Membership costs $68 per year. 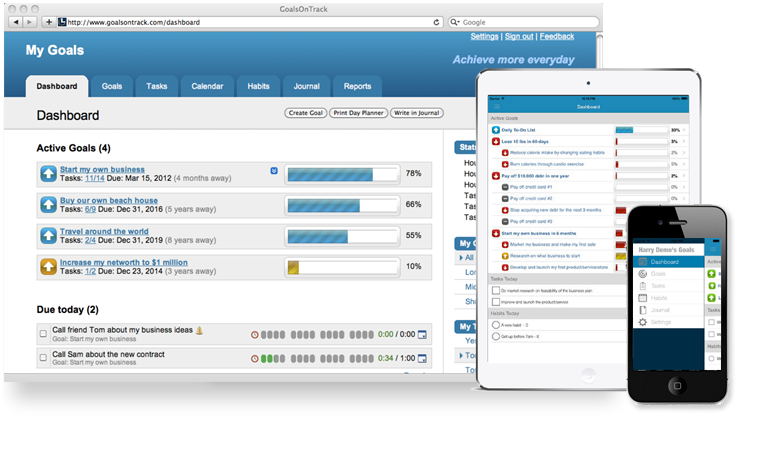 GoalsOnTrack supports all the major mobile platforms, including iOS, Android and Windows. 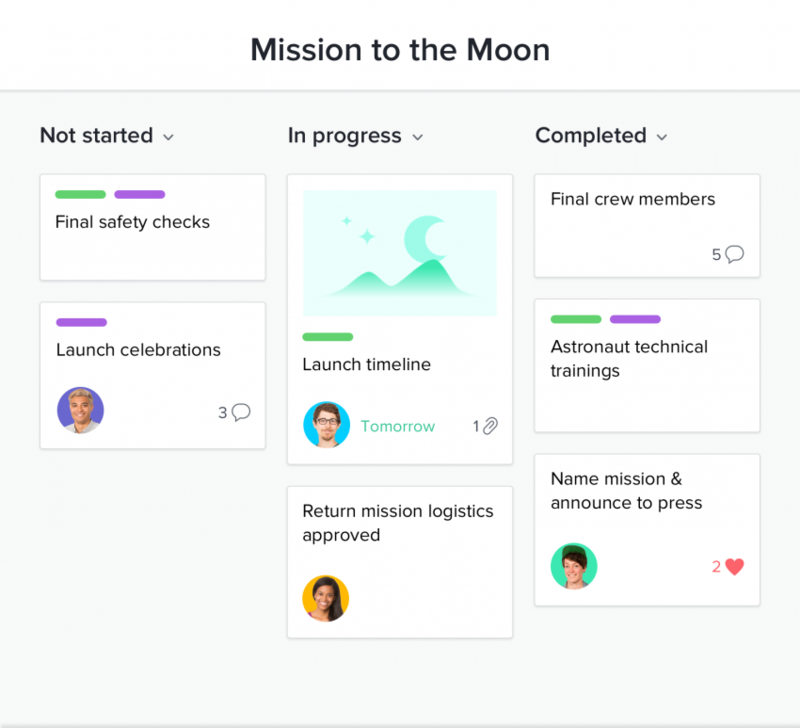 Teams can track their progress and collaborate easily with one another through Asana. This motivation app is free to use for teams up to 15 members. More members can be added with the Asana Premium package, which costs $8.33 per month. Asana is available on iOS, Android and Windows. Wakie helps motivate entrepreneurs and business owners by waking them up in the coolest of ways possible. 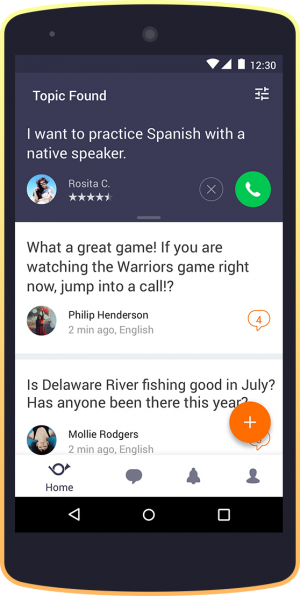 Users hear their alarm, pick up their phone and then someone somewhere wakes them up. What’s more, Wakie is free and is available on iOS and Android. 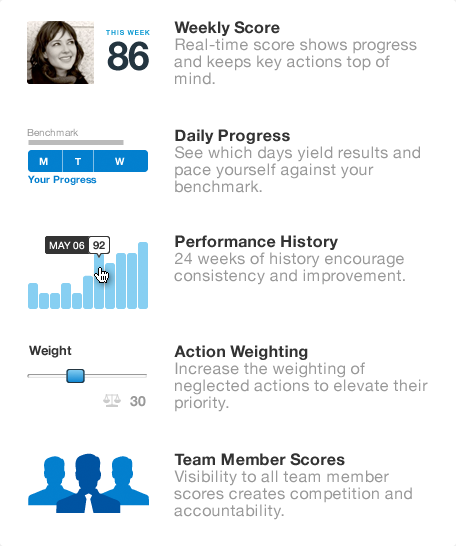 Strides is an app designed to help users stay motivated and on track. 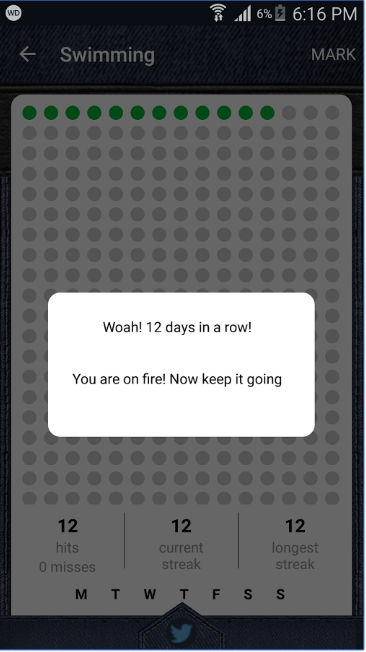 The app comprises of digestible charts and flexible reminders to help users achieve their goals. Strides is totally free to use and is available on iOS. Coach.me proudly claims to be the home for ambitious people, which helps them build their career or business, get in shape and learn a new skill. The app is available in three different packages – the habit tracker, which is free, habit coaching, which costs $15 per week, and leadership coaching, priced at $249 a month. This skills-enhancing app is available for iPhone, Android and the Web. 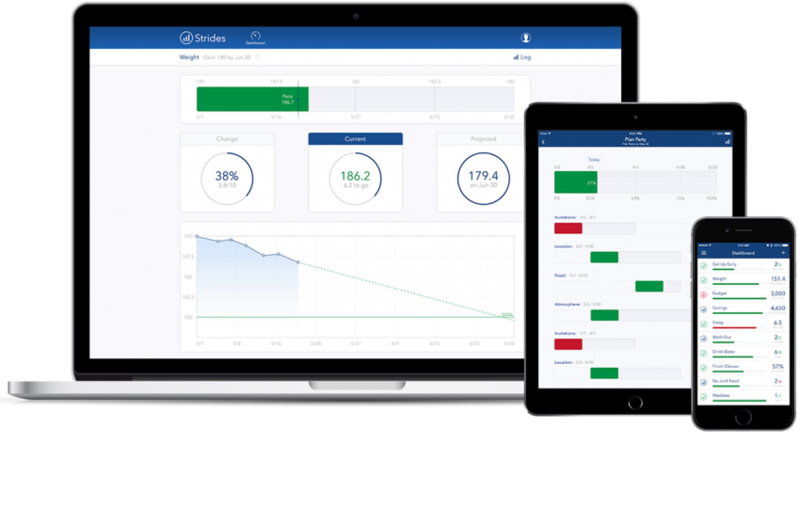 Irunurun claims to be the world’s simplest, most powerful performance and accountability platform. 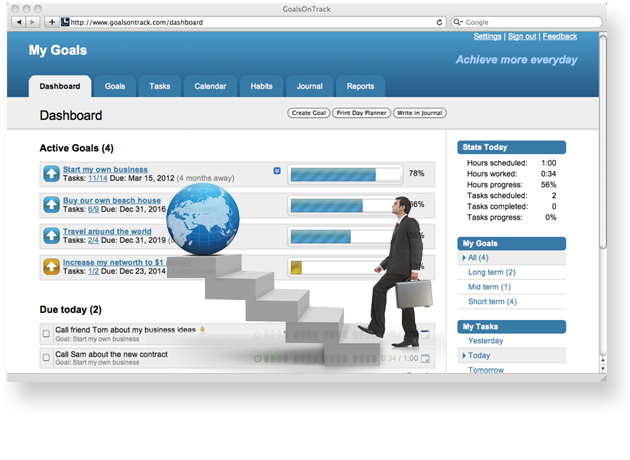 The app focuses on “recurring behaviour”, in particular “high performing recurring behaviour.” It helps users achieve high performing behaviour by keep real-time progress scores, mapping daily progress and performance history. Irunurun is available for iPhone, Android and Windows. You can start a personal account with Irunurun for free. Momentum is an app built around building motivation and eliminating distractions, perfect for small business owners. The app has a dashboard which users choose their goals and focus, which Momentumsubtly reminds them of, with the aim of assisting inspiration, focus and productivity. Users can upgrade from a free account to ‘Momentum Plus’ from $2.50 per month. Momentum is available on the Chrome Web Store. MotivateMe is designed to provide 24/7 motivation with instant audio coaching. The app provides randomized motivational quotes to inspire you, as well as approximately 3,000 minutes of audio coaching. MotivateMe claims to be particularly effective for business owners. The app costs £0.99 to download and is available on iOS, Android and Windows. If you want to achieve more in business you may want to download the Be Obsessed or Be Average Meditation Audio App. The meditation program is focused on the principles taught in entrepreneur Grant Cardone’s bestselling motivation book designed for people looking for true success. 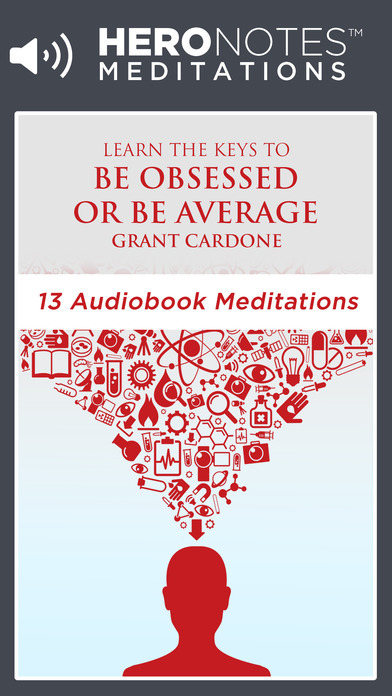 Be Obsessed or Be Average Meditation Audio can be downloaded onto iOS devices and costs £7.99. The TED app features more than 2,000 TED talks from remarkable people, designed to help inspire, motivate and teach those who want to learn and be inspired. TED is a great tool for entrepreneurs and business owners, who can learn from other business maestros. 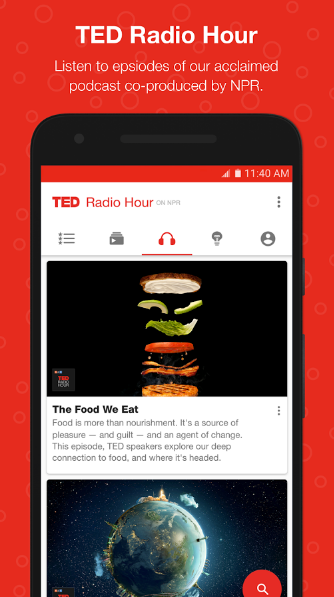 TED is available of Android and iOS for free.